legal advice with drafting comparisons of the types of companies provided by the Romanian legislation, evidencing the specific characteristics, the advantages and disadvantages as well as drafting legal comparisons between the activity performed by a branch and a subsidiary. D&B offers legal assistance for restructuring projects (e.g. mergers, spin offs, liquidations; these projects involve legal provisions regarding commercial companies, as well as employment law issues or other legal issues, depending on the specific of each business), including drafting documents and fulfilling formalities in connection with the restructuring of companies / groups of companies. 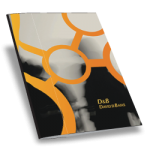 D&B provides legal advice and assistance with regard to the functioning of company bodies either for the companies having one tier system or two tier system as well as legal advice regarding the director’s duties and liabilities. Legal consultancy regarding the protection of rights of minority shareholders, proposal of legal solutions for remedying the situations of negative net assets, legal assistance and consultancy related to the means and procedures of raising and reducing the shares capital.